Kwik Chek and McCraw Oil recently presented a check for $14,000 to their local CASA program, the Fannin County Children’s Center. In all, leaders of Kwik Chek and McCraw Oil will be presenting checks totaling $56,000 to local CASA programs across the state where they do business. 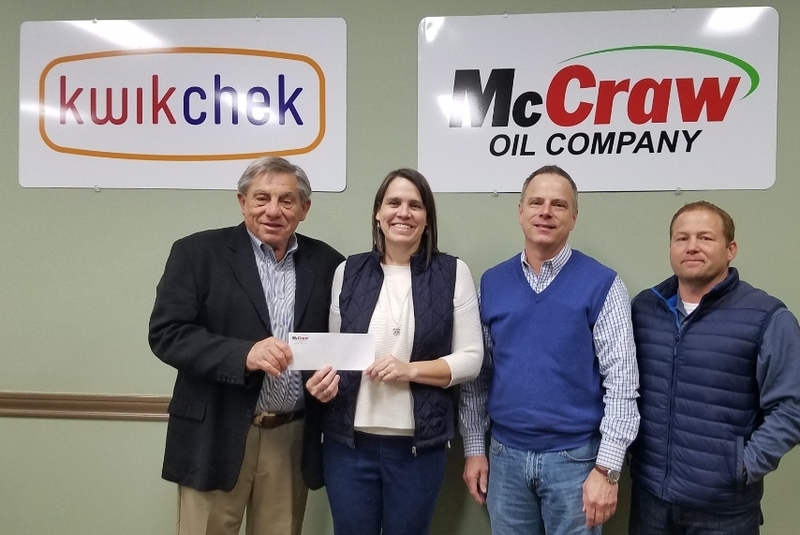 “The McCraw Oil and Kwik Chek teams have long had a passion for supporting the health and well-being of children in the communities where we live and work,” said Bill Wilson, President of McCraw Oil. This year marks the eleventh year in a row that the company’s annual golf tournament has benefitted CASA. In those 11 years, a grand total of $560,000 has been raised. The Children’s Center’s mission is promoting safety and improving the lives of abused and neglected children. Programs include CASA, Children’s Advocacy Center and child abuse prevention.